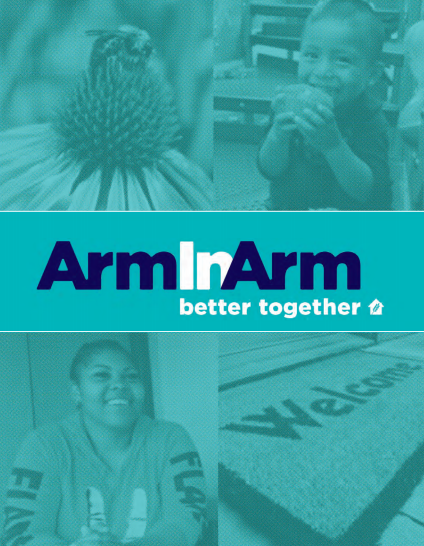 Since 2008, Arm In Arm has benefited from the vital support of Yes We CAN! Food Drives, a volunteer organization dedicated to alleviating hunger in Mercer County. Our friends and partners at Yes We CAN! contribute mightily to our Hunger Prevention program by collecting food at local grocery stores and farmers’ markets, and donating that food to fill the shelves and refrigerators of Arm In Arm food pantries. Shoppers at McCaffrey’s in Princeton, Pennington Quality Market, and ShopRite in Hamilton are asked by friendly Yes We CAN! volunteers to purchase extra produce or non-perishable goods as they make their way through the stores. Similarly, visitors at the West Windsor and Princeton farmers’ markets are encouraged to donate fresh fruit and produce as they shop Generous farmers often donate their remaining inventory or sell it to volunteers at a reduced price as markets close, and money collected is spent on purchasing even more. What bounty! Kim Kyte, the Yes We CAN! 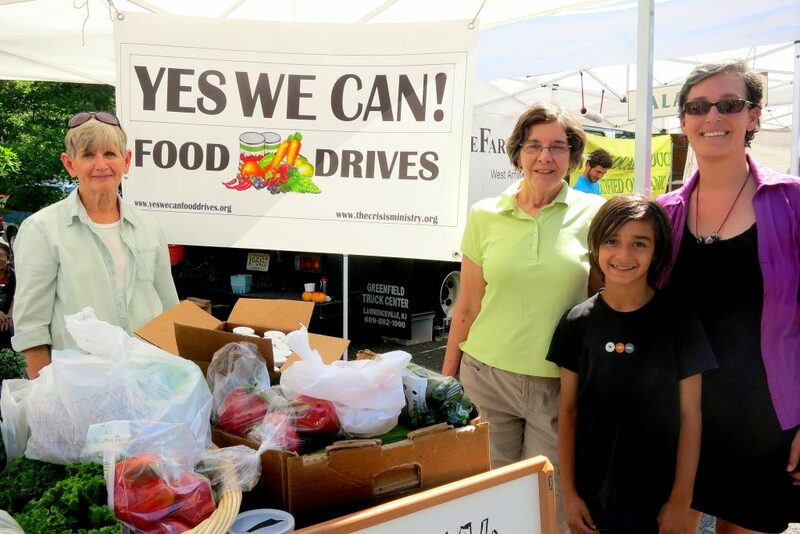 volunteer who coordinates with the West Windsor Farmers’ Market, says, “These relationships speak to the commitment that the farmers and customers have to help people who need food. We sometimes hear from the customers that at one point they needed help and their donations are a way of them giving back … these special relationships are woven together and speak of empathy, kindness, generosity and awareness.” This sentiment also rings true for volunteer Marian Dielhof, who says, “My Grandma was in her 20’s during World War II and lived through the ‘hunger winter’ in The Netherlands … hearing these stories growing up makes you take care of others.” Caring for neighbors in need is at the very root of what Yes We CAN! does. Yes We CAN! proves that we truly are better together!